Exquisitely written, playful and poignant, Only the Animals is a remarkable literary achievement by the award-winning Ceridwen Dovey, one of our brightest young writers. Exquisitely written, playful and poignant, Only the Animals is a remarkable literary achievement by one of our brightest young writers. 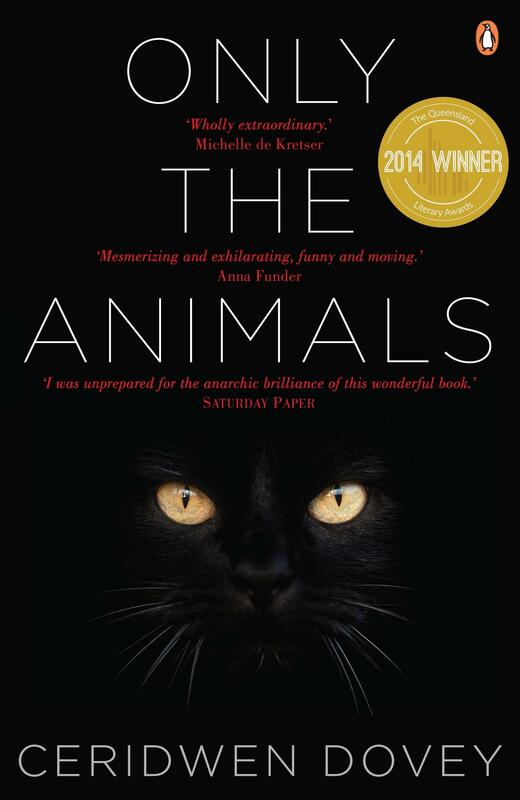 An animal’s-eye view of humans at our brutal, violent worst and our creative, imaginative best, it asks us to find our way back to empathy not only for animals, but for other people, and to believe again in the redemptive power of reading and writing fiction. The animals who narrate the stories in Ceridwen Dovey’s collection have each been killed during a human conflict of the past century: Himmler’s dog is abandoned in the woods; a bear starves to death during the siege of Sarajevo. Each animal pays homage to an author known for writing about animals themselves: a dolphin trained for military operations writes a letter to Sylvia Plath; a camel accompanies Henry Lawson on a journey across drought-ravaged Australia. And while this intricate set-up could easily come across as awkward, or overly complicated, Dovey hits exactly the right note with her creations. Each animal is a joy to encounter. These storytellers are smart and thoughtful, self-aware in a playful, endearing way. Even as Dovey appropriates human ideas of animals, she also subverts and challenges these same ideas, revealing much about our relationship with the animals and ourselves. In the dolphin’s letter to Sylvia Plath, she muses on the absurdity of that very human, usually male, question (the question of gender roles is a recurrent theme here, handled in a way best described as utterly delightful): am I human or animal? There’s plenty of humour in these stories, not laugh-out-loud but off-kilter, self-referential and fun in a smart, nerdy way: ‘Imagine a dolphin who has to keep having epiphanies to remember he’s an animal! The female dolphin would stay so far away from him he’d never get a chance to have little what the?! I’m an animal?! offspring.’ In one of my favourite stories, a group of mussels in the midst of an existential crisis, à la Jack Kerouac, hitchhike on battleships across oceans. Underpinning this sly wit is a surprising emotional depth and many of these stories caught me off-guard in their concluding paragraphs – in finishing some, I was so startlingly moved it was as if I had been winded. With sass and verve, Dovey indulges a fantasy I know I frequently subscribe to – that animals think as much about us as we do about them. This is fiction at its very imaginative best.